Most recent Intel processors for desktops, laptops, and tablets feature integrated graphics capable of driving 4K displays and maybe even some gaming tasks. 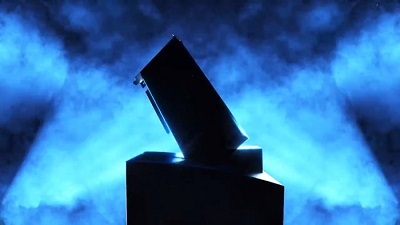 But Intel has been beefing up its graphics team recently, and now the company has confirmed recent reports that it plans to launch a discrete graphics card in 2020. The news comes via a short video posted on Twitter, and while it’s light on details, the company does promise that in 2020 it will “set our graphics free,” indicating that we’ll see a GPU that’s not built into the same silicon as an Intel CPU. This isn’t Intel’s first foray into discrete graphics solutions. The company launched the Intel i740 graphics card in 1998… but it was a commercial flop and the company scrapped the entire product line not long after that (a small number of i752 cards were released, but Intel canceled the i754 graphics card before it ever launched). At this point, it’s unclear what Intel hopes to bring to the table in 2020. A lot has changed in the past two decades and the discrete GPU space is still dominated by NVIDIA and AMD (which acquired GPU maker ATI). But Intel has also been chugging along all that time pushing more and more advanced features into integrated graphics. The company also hired former AMD vice president Raja Koduri last year, to head up Intel’s graphics division. While Intel may be set to start competing directly with AMD in a few years, right now the two companies are partnering in a few interesting ways in an effort to compete with rival NVIDIA. Intel launched a line of Kaby Lake-G processors with AMD Radeon Vega M graphics instead of Intel UHD graphics this year. And the company’s new Crimson Canyon NUC mini computers feature Intel CPUs and AMD Radeon graphics. It’ll be interesting to see if that kind of partnership continues once Intel starts offering its own discrete graphics solutions again.